Band of Brothers, as told by the Mittani. No bias there. I thought to myself. Just the same, reading the publicly released briefing of the incidents leading up to the betrayal and eventual downfall of Band of Brothers made for a good read. True Stories they had called it. Regardless of how much was true it reminded me of a simple truth I did know – we all had a story to tell. I looked at the name of the writer who wrote the report. Maybe it was time to tell mine. 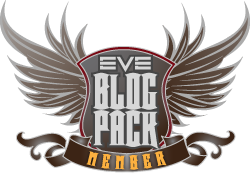 This entry was posted in Roc's Ramblings and tagged EVE Online, true story. Bookmark the permalink. Sorry to say but after the 35 second mark all I could think of was Anthony Weiner.